If you love clean air, quiet nights and breath-taking sunsets, this is the place! 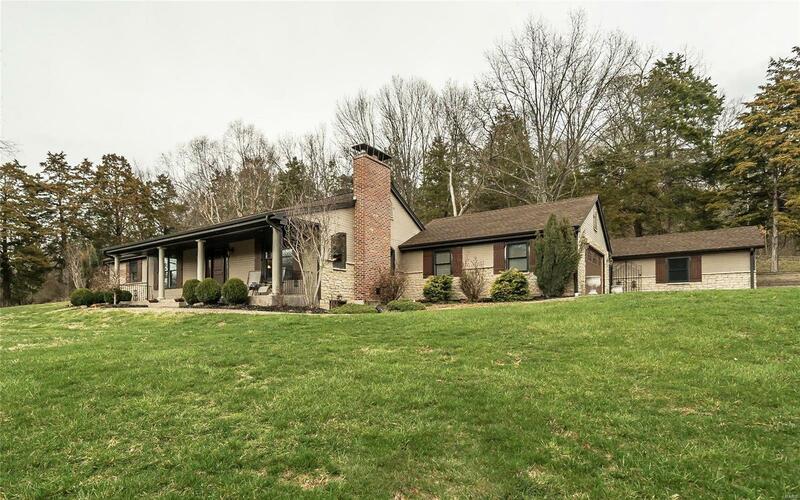 You will easily fall in love with this extraordinary ranch resting on 3.7 acres of woodsy privacy. And inside you will find 2600sf that challenges comparison. The perfect marriage of land and home! Re-designed with an inviting open floor plan and constructed with the finest materials and top-quality finishes. Kitchen is more than an efficient work place, it’s a show place; high-end SS appliances, silestone counters, gorgeous custom cabinets & backsplash. Master suite offers double-sinks and 2 walk-in closets. Walk-out LL features media room with wood-burning stove, game room with wet bar, den/guest room & full bath. Roof, furnace, A/C and more in last 5 yrs including the new garage! Lighted outdoor patio & the hot tub invites you to relax under the stars. Circle drive & curb appeal create a prestigious presence you will be proud of. Minutes from hwy access yet free from city pressure, this is real living!